1. Healing by God, through faith and prayer, was practiced by the patriarchs. which I have brought upon the Egyptians. For I am the Lord that healeth thee. 3. David rejoiced in the knowledge of this covenant. 5. Jesus made healing one of the planks of His platform. to preach the acceptable year of the Lord. 6. Jesus ministered healing to the sick. 7. Healing is in the atonement of Christ. Healing of the leper in Matthew 8:1–4. Healing of the centurion’s servant in Matthew 8:5–13. Healing of Peter’s wife’s mother in Matthew 8:14–15. Healing of the multitude in Matthew 8:16. 8. Jesus bestowed the power to heal upon His twelve disciples. 9. He likewise bestowed power to heal upon the seventy. 10. After Jesus’ resurrection, He extended the power to heal to all who would believe. He said unto them, Go ye into all the world, and preach the gospel to every creature. He that believeth and is baptized shall be saved; but he that believeth not shall be damned. And these signs shall follow them that believe, In my name shall they cast out devils, they shall speak with new tongues; they shall take up serpents; and if they drink any deadly thing, it shall not hurt them; they shall lay bands on the sick, and they shall recover. 11. And lest healing should be lost to the church, He perpetuated it forever as one of the nine gifts of the Holy Ghost. 12. The church was commanded to practice it. 13. 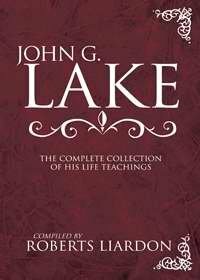 The unchangeableness of God’s eternal purpose is thereby demonstrated. God always was the Healer. He is the Healer still, and will ever remain the Healer. Healing is for you. Jesus healed “all who came to him.” (See Matthew 4:24, 8:16, 12:15, 14:14, 15:30, 19:2; Mark 1:34, 6:13; Luke 4:40, 6:19, 9:11.) He never turned anyone away. He never said, “It is not God’s will to heal you,” or that it was better for the individual to remain sick or that they were being perfected in character through the sickness. 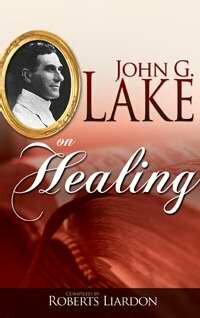 He healed them all, thereby demonstrating forever God’s unchangeable will concerning sickness and healing. Have you need of healing? Pray to God in the name of Jesus Christ to remove the disease. Command it to leave, as you would sin. Assert your divine authority and refuse to have it. Jesus purchased your freedom from sickness as He purchased your freedom from sin. Therefore, mankind has a right to health as he has a right to deliverance from sin. If you do not have it, it is because you are being cheated out of your inheritance. It belongs to you. In the name of Jesus Christ, go after it and get it. If your faith is weak, call for those who believe and to whom the prayer of faith and the ministry of healing have been committed.